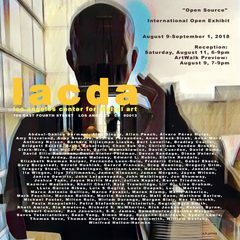 The Los Angeles Center for Digital Art was established in April of 2004 as a venue to support the efforts of the burgeoning scene revolving around art and technology. Also known as "LACDA," its founder and director of the gallery, Rex Bruce, had his first experience with art and computers in 1980 creating control voltages for analog synthesizers using an IMSAI 8080 computer and the C+ language. His subsequent extensive career and education in the field of electronic interdisciplinary art led to the creation of LACDA spawning many novel approaches to funding and programming for computer oriented fine arts.